Grupa Azoty today concluded an agreement with Goat Netherlands B.V. with its registered office in the Netherlands (an entity of the XIO Group, a London headquartered private equity firm) for the acquisition of 100% of shares in Goat TopCo GmbH with its registered office in Germany, which controls the companies of COMPO EXPERT Group, one of the world's leaders in the market of specialty fertilizers for professional users. The transaction will be finalised after obtaining the consent of the Extraordinary General Meeting of Grupa Azoty S.A. Shareholders and the consent of the competent merger control authorities required in certain countries of operation. The purchase price for 100% of shares in the COMPO EXPERT Group will not be higher than EUR 235 million and will be financed entirely with credit lines available to Grupa Azoty. „With the acquisition of the shares in the COMPO EXPERT Group, Grupa Azoty will further strengthen its international position among the leading solutions providers for the agro market. Entering the area of specialty fertilizers is an important step in the Group’s access to innovative technologies and unique know-how. It is also proof of how effectively Polish companies can maximize acquisition opportunities for the benefit of the Polish chemical sector and the Polish economy overall. 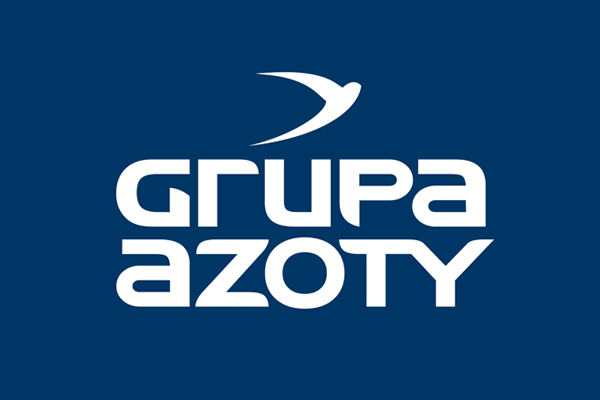 Grupa Azoty, which until a few years ago was threatened by a hostile takeover, is now actively participating in acquisition processes in Europe thanks to the combined strength of its integrated plants," stresses Wojciech Wardacki, PhD, President of the Management Board of Grupa Azoty S.A.
COMPO EXPERT Group is a leading independent global manufacturer of high added-value specialty fertilizers for professional use in the markets of Asia, Europe, the Americas and South Africa. The company's key production assets are located in Krefeld, Germany, and Vall d'Uixo, Spain. The COMPO EXPERT product portfolio will complement Grupa Azoty's existing diverse range of high- volume products. It will provide advanced solutions for CRF (controlled release fertilizers) and SRF (slow release fertilizers), fertigation and foliar fertilizers, liquid fertilizers and biostimulants, as well as specialty NPK fertilizers with a high nutrient concentration. „Specialty fertilizers are a group of products which we have long wanted to add to our customer offer. Thanks to the addition of highly-skilled staff we intend to build Grupa Azoty's market position in new business segments such as fertilizers for large-area vegetable, horticultural and fruit plantations in nearly 100 countries on five continents," adds President Wardacki. Specialty fertilizers are technologically advanced products designed mainly for high-value cultivation on plantations of fruit, vegetables and ornamental plants, as well as for maintaining green areas. Specialty products can also be used for indoor or greenhouse cultivation, as well as for lawns and top-quality sports grasslands at any latitude. The transaction will be closed after the approval by the Extraordinary General Meeting of Grupa Azoty's Shareholders and the receipt of the required market approvals from the relevant merger control authorities in certain countries of operation, what is expected to happen not earlier than in in the fourth quarter of 2018 and no later than in the first quarter of 2019. When the acquisition of the COMPO EXPERT Group is completed, it will be the second investment of Grupa Azoty on the German market, which in 2010 acquired ATT Polymers, a company operating in the plastics segment. Grupa Azoty is a strong market leader in Poland and one of the key capital groups of the fertilizer and chemical industry in Europe. The Group is the second largest manufacturer of nitrogenous and compound fertilizers in the European Union, and products such as melamine, caprolactam, polyamide, plasticizers, OXO alcohols and titanium white have an equally strong position in the chemical sector and are used across many industries. In May 2017, the Group presented its updated strategy to 2020, including the completion of the consolidation process of the Capital Group, strengthening its position among the leaders of agricultural solutions in Europe, strengthening the second pillar of operations through the development of operations outside fertilizers, and generating and implementing innovations that are a lever for the development of the chemical sector. The combination of the potential of the plants in Tarnów, Puławy, Police and Kędzierzyn-Koźle allowed not only for retaining key companies of the chemical industry in Polish hands, but also for numerous cost synergies. By 2017, consolidation in the area of strategic purchases, production, repairs, logistics and IT resulted in savings of at least PLN 710 million. Cooperation within Grupa Azoty brings multi-dimensional benefits to the Polish economy, the entire Group and individual plants and their employees. Advisors to Grupa Azoty on this transaction included PwC Poland (M&A and tax) and CMS Germany (legal).